Hardships and sleepless nights of watching, have robbed many of the boys of their jovial spirits. Music sustains the human spirit in a really fundamental way throughout these experiences. These soldiers will enliven their tedium of the trenches by extracting music of sorts from discarded tins and cans. From almost every tent came the strains of some sort of music or singing. The war brought together a wide variety of musical cultures from around the British Empire and beyond. Indian regiments of various creeds enjoy their evenings in their own fashion. Here they will have their 'Tamashas'. This entertainment was often found to be a way in which soldiers could reconnect with fond memories of home and family. Music explores the reality of the battlefield, which often told a different story. For many, music provided a source of hope, sanity and pleasure amidst the horrors of war. The troops would sing at almost any opportunity whether marching to and from the trenches, whilst in the trenches, during the long periods of waiting between battles. Baisakhi at the front was a festival celebrated to the roar of cannon, the clash of steel, and mingling with these harsh sounds of strife, the gentler tones of prayer. Nothing could have been more impressive than the song 'PEEPA' from the movie Sajjan Singh Rangroot. Some of the Soldiers in the battlefields were very subject to "toothache," which is the trench term for homesickness. So much is ascertained from letters received. "A chap named Arnold made us a couple of one string fiddles out of some small boxes which he had sent out to him containing cigarettes. The boxes are especially good, being carved out at the end very smartly. The thread of his 'house wife' is used to draw the music out of the string. In war time, music can be a potent weapon. It can raise spirits on the battlefields, and comfort the loved ones left behind. And it can ponder on the deeper meanings behind the storm and stress of battle. It can remind people of who they are, by retelling the national story and hymning its values. As well as sharing food Indian troops and followers exhibited aspect of their culture of their homeland. An Otago infantryman, George Cloughley, described how later in the campaign New Zealanders would gather in little bunches and sing and yarn by the hour - presumably at the rest areas by the shore. Nearby (probably in Mule Gully), the Indians used to hold concerts on their own and make a most unearthly noise. 'The nights were beautifully mild and warm, and if we weren't on duty we used to gather in little bunches and sing and yarn by the hour. The Indians used to hold concerts on their own and make a most unearthly noise. The Turks concerts in their trenches were even worse, like our fellows they had their concerts in bomb-proof shelters. I used to like to sit on top of the hills behind us by myself. In the firing line one would hear occasional shots fired at imaginary targets and the muffled explosions of (shells, and then) you could hear someone singing "I wonder if you miss me." Soldiers are peculiar in their selection. They either sing those songs which make you cry, or those that make one feel very much at home." Kipling's enthusiasm for folk song was widely shared by the ruling classes, anxious to counter the influence of mass culture with a bit of wholesome tradition. "On such an evening some of us came down from the Apex, scrambling through a little valley to an Indian mule encampment. We were hungry men, possessed of that hunger that comes when bodies fed with little more than salt beef, bacon and hard biscuit had been starved of essential foods. In the snug camp burned little fires, round which muleteers sat cooking their evening meal. The firelight danced on brown skins and gleamed on the whites of eyes and grinning teeth. From steaming pans came the odour of Chapattis and onions and curries and spices strange that mixed up with all the beauty of Gallipoli still comes to me the scent of that cooking. As wolves might squat we sat a chain or so away from the fires lusting for the food. What might have happened I hardly dare to think had not a young Indian, who sat alone at a fire, beckoned us over? It was thus we made acquaintance with Rama, an Indian doctor. At his order steaming pans were brought to us and we feasted. When repleted we lay back, warmed to a glow by strange spices, our senses drowsily conscious of the soothing murmur of the voices of the muleteers and the clink of harness or the stamping of a mule. Rama touched the strings of a guitar until music rippled like the swirling waters of the Ganges. He sang to us, and as the liquid notes of his voice rose and fell the evening became enchanted. Moonlight crept up and soaked the valley with bluish silver. The muleteers sidled nearer, their murmuring stilled as Rama sang the love songs of his race. Burra dur hai Tipperary, Burra dur hai jhani ko. Burra dur hai Tipperary, Mera chokri dekhne ko. Salaam, Piccadilly! Ram ram, Leicester Square! Burra burra dur hai Tipperary, Lekin mera dil hai hwa. 27 January 1915: Some time ago there was a big sing song at Fort Tanskyne, and one of the men brought down the house completely by getting up and singing in a regular shrill native chant "Tipperary" in Hindustani. But I am afraid "Bwa-kutcha Tipperary ko-hai" will not catch on at home as much as one might wish. The demand for music everywhere as a, stimulant to recruiting, to marching, in the trenches and hospitals, is one of the surprises of this war where music is the first luxury to become a necessity to health as well as temperament. They helped bring solidarity to groups, strengthen morale and help diminish fear and quite simply, they helped reduce the boredom, frustration and monotony of military life. Why not make a practice of letting the bands play two or three times a week in the courtyard of the military hospitals? Convalescence would be quicker, and the men would come out more "heartened" to a return to work, than the dreary, unrelieved monotony of the sick wards at present makes possible. ~ Florence Nightingale, English Military Nurse. Some with crutches, others with arms in slings, several even on beds, all are enjoying the beautiful sunny days at Brighton, and the sweet strains of the gramophone. So boisterous has been the applause to several of the favourite pieces that some of the sisters have come out to see the party. Wounded listening to the bag pipe [sic. for gramophone], and sunning themselves [Brighton, England]. Photographer: H. D. Girdwood. Photo 24(23), Courtesy of British Library. Music was truly central to all events of a soldier's life. In the soldier's diaries, letters and memoirs music was often spoken of as a major part of a soldier's life, often quoting songs in their letters home. While wounded and in hospitals men often said music was "Better than rations or medicine". Faith, religion, spirituality and belief were important to many of the troops. The rich oral tradition of northern India and its connections to everyday religious practices were reminders of the lives they had left behind. It let the men connect to their homes. With only their faith and the sacred sounds they had carried with them from Punjab, these men bared their souls as their voices united in fragile hope. The above 'Shabad' is among the Seventy-one hand full recordings stories of Punjabi prisoners of war, held at the Half Moon Camp in Germany during the First World War. A century on, they come to life again. This 'Shabad' with its plea for mercy amidst the 'terrible deep dark pit' is deeply moving, especially if one listens to it. Written by Guru Arjun Dev Ji, it is a shabad with the strength to relieve pain. It is an affirmative prayer to the Creative (Gobind) force and the Nurturing (Gopaal) force of the universe for support and help. 'hey gobind, hey gopaal , hey dayaal laal. andh koop mahaa bhayaan Naanak paar utaar'. O Preserver of the World, O Sustainer of the World, O Dear Merciful Beloved. O All-powerful, unimaginable, please shower me with Your Compassion. Please, carry me across this terrible, deep dark pit of despair to the other side. The Sikh daily prayers and singing of Shabad (hymns) have been read by Sikh soldiers as a source of courage and strength while in a foreign land. Verses in the shabads or hymns, of Gurbani reflect the emotions experienced by every individual. 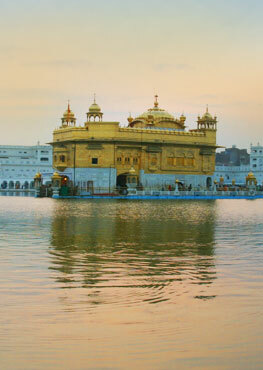 Sikhs turn to Gurbani Kirtan for inspiration whether going through hardship or expressing joy. Music sustains the human spirit in a really fundamental way throughout these experiences. i) Royal Prussian Phonographic Commission Humboldt University's Sound Archive, Lautarchiv, Berlin. ii) Die in Battle, Do Not Despair. The Indians in Gallipoli, 1915~ Peter Stanely. 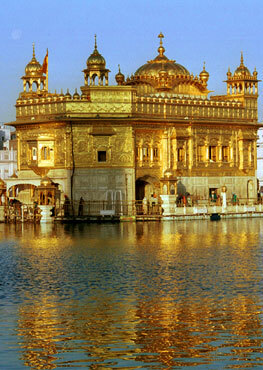 iii) India, Empire, and First World War Culture. Writings, Images and Songs ~Santanu Das. v) How did people share their cultures Imperial War Museum. https://www.iwm.org.uk/learning/resources/how-did-people-share-their-cultures-and-traditions-during-the-first-world-war. Title Image: Puppets from HMDT Music's Trench Brothers. Photo Courtesy of Clive Barda.